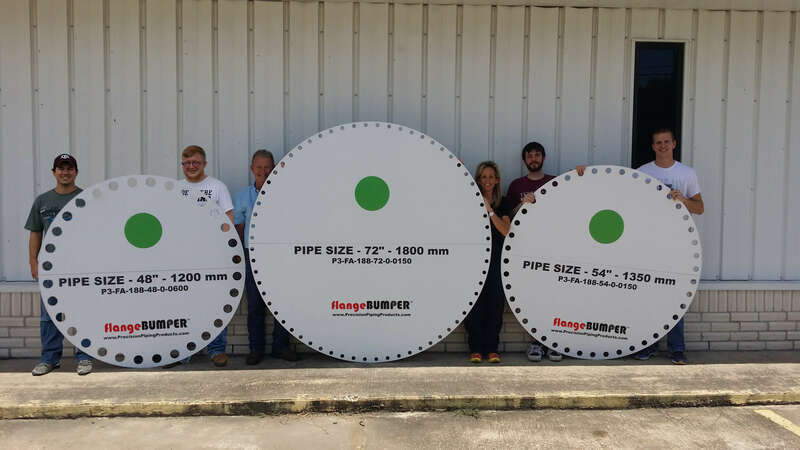 Originally founded in 2014 in Cypress, Texas, Precision Piping Products™ was brought to life with a single innovative product, flangeDOTS®, with a mission to solve a common and expensive problem; protecting flanges against damage or corrosion. Since then, it has rapidly become one of the most sought after products, providing protection and preservation for multinational Oil & Gas companies, fortune 500 companies and numerous piping manufacturers. Our approach to staying relevant and ahead of the curve is to be consistently developing, using our clients as our council, guiding us towards the most important issues that need resolving. Here at Precision Piping Products™, our #1 priority is that you become more productive and profitable. We have several items on the market that will help you to become just that. Feel free to contact us today for questions or more information.